STOCKHOLM (Sputnik) - Swedish Defence Minister Peter Hultqvist said Friday he did not support the idea of creating a unified pan-European army, which was earlier proposed by some European politicians. 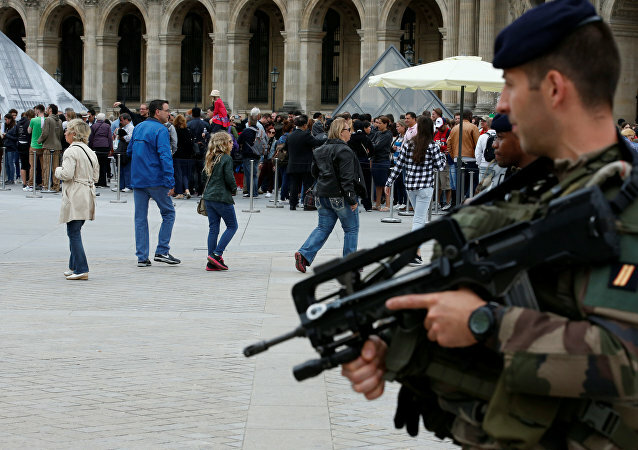 French President Emmanuel Macron earlier came up with the idea of creating EU military forces for the sake of boosting European security. The idea was later endorsed by German Chancellor Angela Merkel. 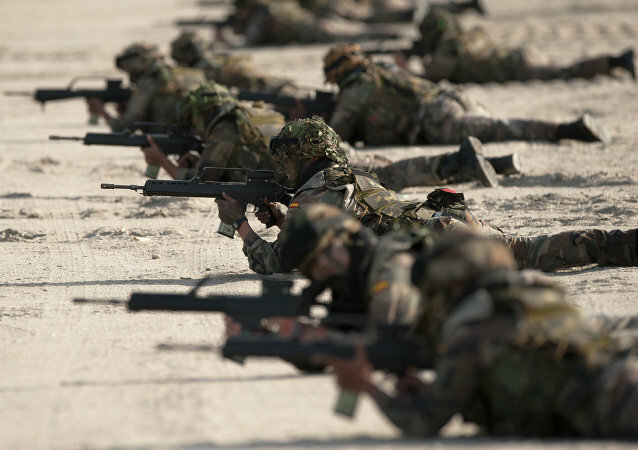 But recent British-German research suggests the EU is not ready for the creation of such forces. French President Emmanuel Macron has pledged to stand firm against rioters who have carried out protests over fuel taxes. In a speech, Macron stated that violence would not force him to step back from his government's energy policy. A European Army can diminish the dominant role of NATO and Washington in European security amid the EU-US split that has been dramatically intensified under Donald Trump, Professor Glenn Diesen has told Sputnik. The academic explained why the Kremlin has endorsed the EU defence initiative. 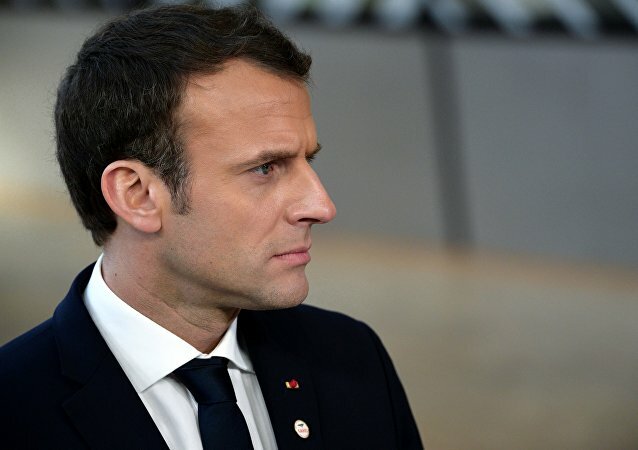 French President Emmanuel Macron has sparked a continental debate after calling for the creation of a pan-European army to defend the EU against Russia, China and even the United States in light of recent cyber attacks and, as he put it, attempts to meddle into France's domestic affairs. 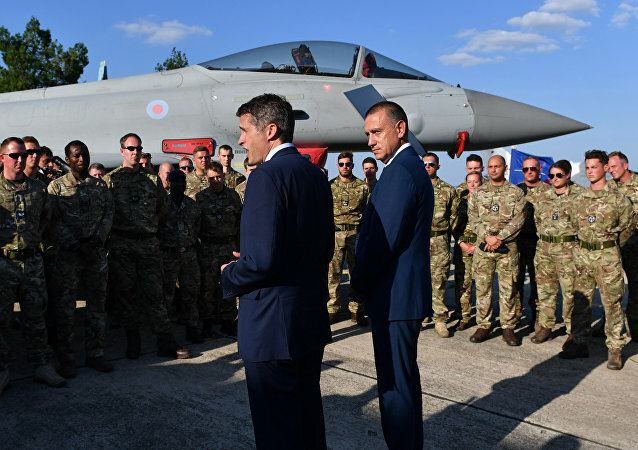 The British defence secretary has slammed the notion of a European army, arguing it undermines NATO security efforts. The idea, supported by French President Emmanuel Macron and German Chancellor Angela Merkel, has also been criticised by US President Donald Trump, who called the plan 'insulting'. The future of a proposed European army largely depends on how the relationship between the US and Europe will evolve, Justice and Development Party (AKP) member Ali Sahin has told Sputnik, stressing that Washington had alienated the EU with its harsh security and economic policies. Speaking in Germany on Sunday, where he took part in national Remembrance Day for the victims of war and dictatorship, French President Emmanuel Macron said that Europe should take more responsibility for its defence. 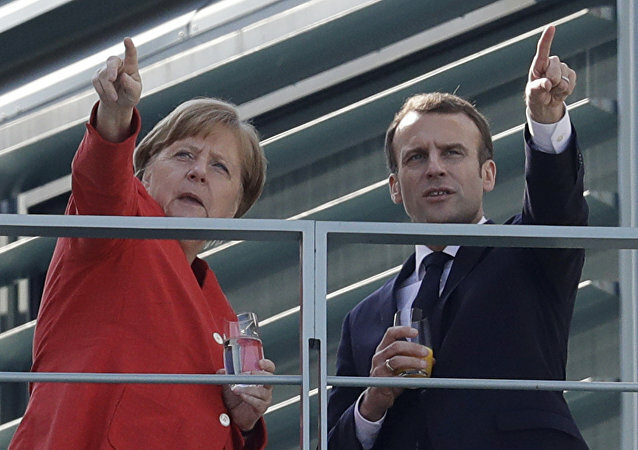 Macron and Merkel also reportedly discussed migration, the euro, taxing digital companies, and other issues. According to media reports, French Finance Minister Bruno Le Maire and his German counterpart Olaf Scholz will jointly present the outline and main principles for the layout of a budget on Monday. This comes after German Chancellor Angela Merkel supported French President Emmanuel Macron’s idea of creating an EU army. 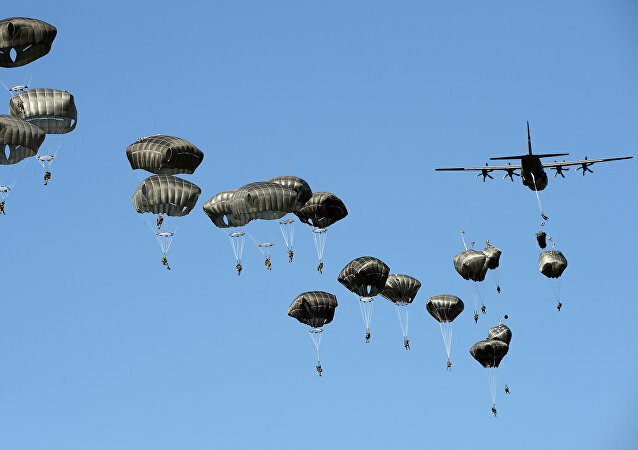 Earlier this month, the French president stated that the European Union should have a "real European army" independent of the United States in order to defend itself and guarantee stability in the region. The draft Brexit agreement has become the subject of an intense political debate both within the Conservative Party and beyond, prompting a series of resignations of cabinet ministers. MOSCOW (Sputnik) - Moscow believes that the explanation offered by European states for increasing military spending on the need to constraint some "illusory potential aggressor" is far-fetched, the Foreign Ministry said on Saturday. 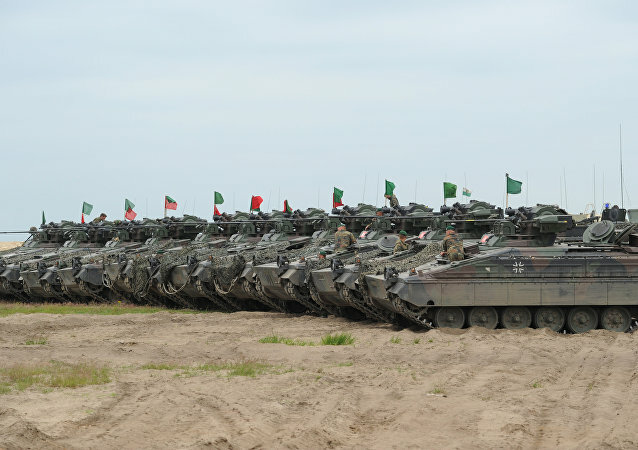 As Jean-Vincent Brisset, retired Brigadier General and researcher at International Institute for Strategic Studies, told Sputnik, the European army, if it is created, will compete with NATO, but it’s unlikely that it will emerge in less than ten years. 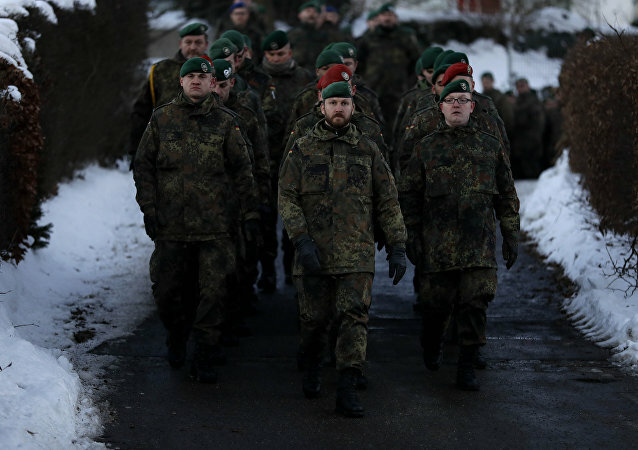 BRUSSELS (Sputnik) - The European Commission recalled that the idea of creating an EU army was put forward by President Jean-Claude Juncker four years ago, and welcomed the fact that it had recently been actively supported by France and Germany. 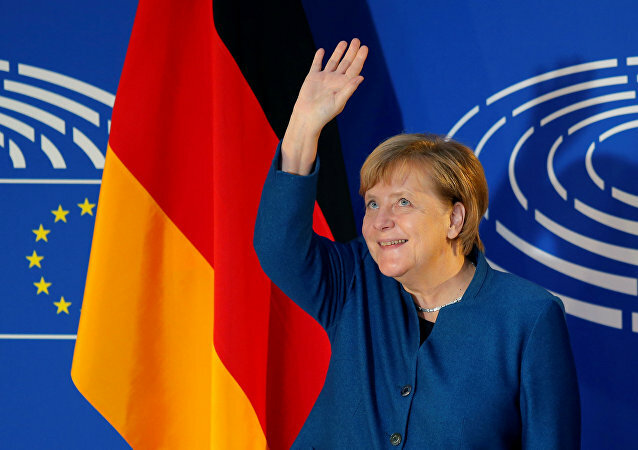 The German Chancellor addressed the European Parliament with a speech on the bloc’s future and called for unity and the need to look for compromises. This call was met with a mixed response among the legislators amid the growing number of unresolved conflicts over migration control, the Eurozone and a proposed European military force.